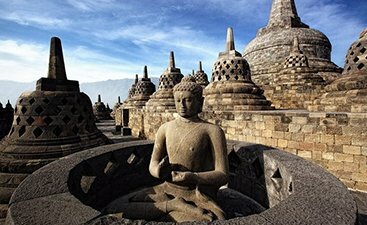 The land of diversity and flavours of life that allure one to stay longer, Indonesia is a travel destination reflecting the true spirit of Southeast Asia. A colourful palette, this island country takes one on a tour of different aspects of life that have a deep connection with nature and culture. Sure, Indonesia has developed some of its part like Bali as a tourist destination, primarily a honeymoon getaway but this country is not restricted to just this. 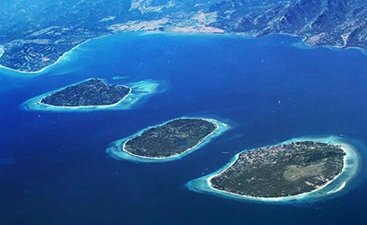 With more than 17000 islands in possessions, Indonesia inevitably can be a travel place with plenty on offer for people on a vacation here. 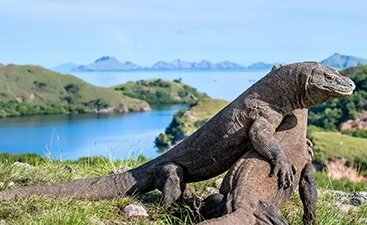 The scenic white sand beaches; the dense forests that are also home to the orangutans; the island of Komodo dragons; the serendipity in Bali; and the dynamism in Jakarta, adorn Indonesia in a way that it has become irresistible. 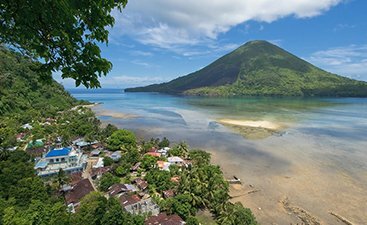 Indonesia enjoys rich biodiversity, and it only adds more charm to this island country. 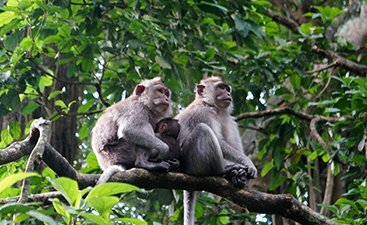 The national parks and forests in Indonesia give wildlife lovers a chance to sight rare and exotic flora and fauna. On the other hand, in places like West Timor Village compels one to trudge and explore something new. The experience of the ferry ride to Kalimatan or a train journey to Java all has an experience that can neither be missed nor can be forgotten. 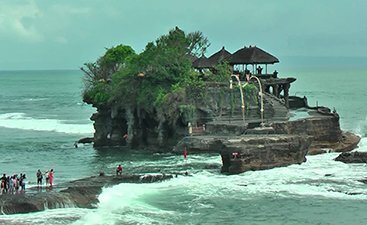 Apart from this, Indonesia travel guide offers a manicured list of places to visit for people on a family vacation where each member has something incredible to explore and imbibe. The honeymooners can find their paradise in this island nation and so can the solo travellers who have a wide array of things to do and see here. 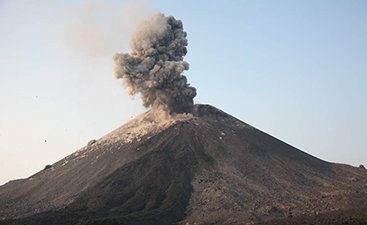 Hike your way up the Bromo mountain of Indonesia to tame your fears by touching down a height of 2329 m, one of the most fun things to do while on a vacation here. 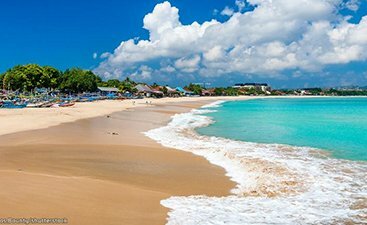 Revivify your soul in the awe-inspiring famous beaches of Bali that lets you surf, sunbathe, stroll, party and relish every single moment from sunrise to sunset. 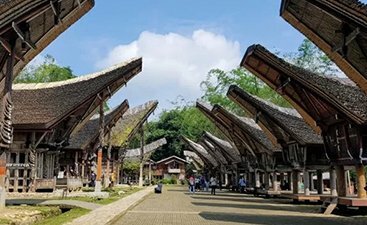 Crowned as the ‘Land of the Heavenly Kings’, Tana Toraja might astound you on your visit to Indonesia as it is popularly known for its burial rites. Indonesia has a number of fun amusement parks which are heaven for both kids and kids at heart. There are 12 points of departures for Hajj pilgrims from Indonesia, making it a popular pilgrimage country. Due to its central location, Indonesia’s cultural heritage has been strongly influenced by multiple foreign countries. With 15 percent of the world’s coral and 25 percent of fish species, Indonesia is a scuba diving heaven. Take a step back in time and discover the lifestyle of Indonesian villagers by taking village tours. Influenced by Chinese, European, and Arabs culture, diversity of culture shows in Indonesian food as well. Experience jungle river trips, spot mammals like elephants, orangutans & explore the raw wilderness of Indonesia. A country that holds four times an ocean than land is best known for its beautiful snorkeling spots. Colourful parades and extravagant dances are the essences of Indonesian festivals. 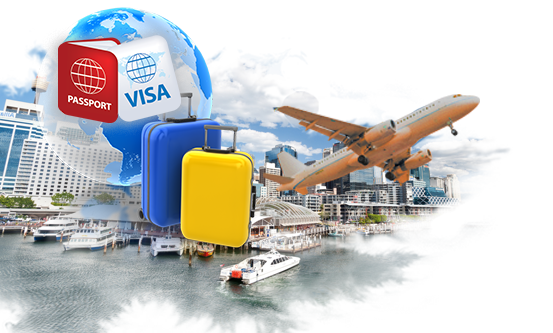 Indonesia offers the facility of visa on arrival to the nationals of some of the countries, whereas, the country also offers visa free entry to a number of nations. Indonesia visa can be obtained for minimum 30 days and can extended for another 30 days. 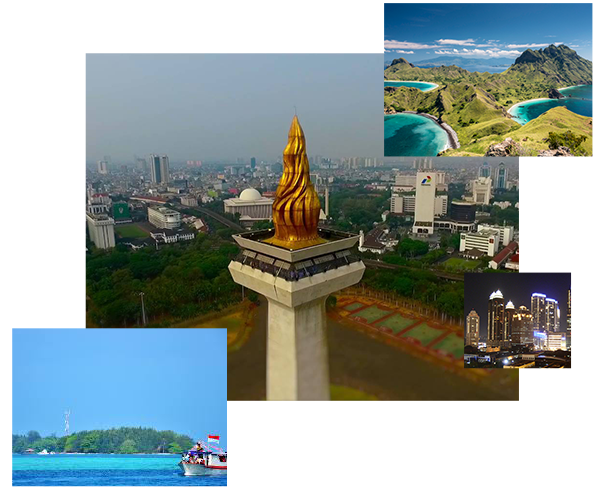 Read to find more details on Indonesia visa regulation. 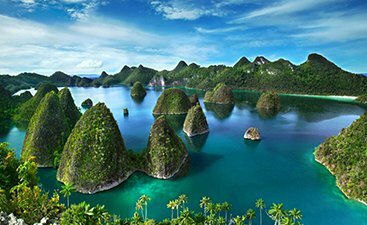 The best time to visit Indonesia is between the months of May and September when it remains dry and sunny. On the other hand, during the monsoon season temperature remains high and intense tropical downpours that last for a couple of hours is received in the island country.